The "Judge Cuts" round continued last night with 20 acts taking the stage one at a time and the judges making some extremely difficult elimination decisions. AGT's judges were joined by guest judge DJ Khaled, who had the power to automatically advance one act without deliberation via the "Golden Buzzer." 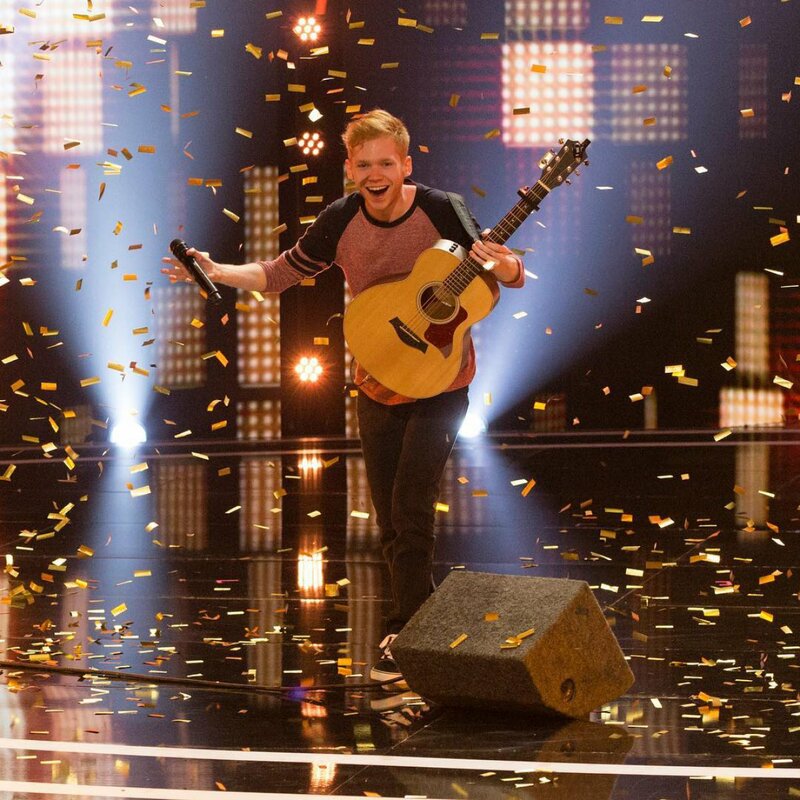 DJ Khaled hit the "Golden Buzzer" for Chase Goehring, a 21-year-old singer and songwriter, because he performed an impressive original song. DJ Khaled thought Chase's lyrics were real and authentic, and he believes the contestant -- who may remind some viewers of Ed Sheeran -- will become a superstar. The six other acts the judges selected to advance to live shows were Junior and Emily, an adult salsa duo; Mirror Image, 16-year-old twin singers and dancers; Evie Clair, a 13-year-old singer; Colin Cloud, a 30-year-old mind reader; Puddles Pity Party, a 53-year-old sad singing clown; and Yoli Mayor, a 21-year-old singer. The seven acts were chosen because they either blew the judges away or tugged at their heartstrings. Colin Cloud and Yoli Mayor were the two standout acts in the group. Colin read Mel B's mind twice and absolutely stunned the audience with his ability. Yoli, who sounds a bit like Adele, received a standing ovation from all four judges. The results unfortunately sent 13 talented acts packing -- including Jokgu and Aichan, two chicken pianists, who received an "X" from everyone on the judging panel before their performance concluded. Some of the eliminated acts were Sammulous, a 22-year-old singer; Steven Scott, a 44-year-old comedian; The Quiddlers, an adult variety and comedic act; Str8jacket, a group of adult dancers; Solto & T Dot, a duo of dancers and acrobats in their twenties; and Dakota Striplin, a 23-year-old singer and guitarist. The rest of the acts who were sent home were the Azeri Brothers, two stuntmen and daredevils in their thirties; The Godfathers, an acrobat and balancing act in their twenties; Tulga, a 33-year-old strongman act; Kyle Eschen, a 24-year-old magician; Xavier Mortimer, a 37-year-old magician and illusionist; and Pelican 212, a large family band. America's Got Talent's live shows will begin airing Tuesday, August 15 at 8PM ET/PT, with the live results following on Wednesday nights each week. 'World of Dance' recap: Kinjaz, Swing Latino, Les Twins, and Keone & Mari advance to "The Divisional Final"